Avoiding animal meat and animal products is often touted as being 'healthy' in mainstream media. But this is not the case, in fact, as I will explain in this article, vegetarian and especially vegan diets are far from being the perfect diet for the human body. Below I explain why you should never follow a long term vegan or vegetarian diet. You will learn how vegan and vegetarian diets do not have the health benefits that an omnivore diet has – an omnivore diet includes both plant foods, as well as several types of animal foods. In a previous article, I’ve talked about how food from animals - milk, oysters, eggs, and liver help you build muscle and lose fat. But this article goes deeper than finding the perfect foods for body composition, this article looks at how the food we eat impairs or benefits our health. In this article, I first look at the different vegan and vegetarian diets that exist. Next, I will have a look at all the problems associated with vegan and vegetarian diets – by giving you eight reasons why you should steer clear from any vegetarian, and especially vegan diet. This article is not written as an attack on vegan's or vegetarian's. I have good friends who choose to follow these particular diets. Instead this article is meant to help clear the confusion around whether plant based diets are the best for our health or not. The sad thing is that a lot of people have been misled into believing that vegan or vegetarian diets are optimal for their health and mental performance, while in reality this is far from the truth. Note - If you are a vegan or vegetarian and you know that all the evidence in the world won't change your way of eating, then I highly recommend downloading my FREE essential supplement guide for vegans and vegetarians. Click HERE to download. Vegetarian diets on the other hand, allow for some animal food consumption, as long as the food does not come from the body of an animal. So, milk and eggs are allowed on a vegetarian diet, while bone broth, meat cuts, or fish are avoided. There are subtle differences between variations of vegetarian and vegan diets. Some vegans, for example, might even allow the consumption of oysters and mussels, because of the argument that the nervous systems of these creatures are not developed in such a way to allow these creatures to feel pain. This is called ostro-veganism. Next to ostro-veganists, there are all kinds of difficult names to describe different vegan or vegetarian diet variations: there are lacto-vegetarians, raw-vegans, ovo-vegetarians, partial vegetarians, pesco-vegetarians, and so forth. For the purpose of this article, you do not need to remember all these names. To keep things simple, this article assumes that vegans do not eat any animal products at all. And I assume that vegetarians still consume milk and eggs – because their argument basically boils down to the notion that milk and egg consumption does not hurt animals. When considering the health effects of these two diets, I criticize vegan diets more heavily in this article, because I consider vegan diets more dangerous than vegetarian diets for your energy levels, mental well-being, and physical performance. As will become clear, if you’re following a vegan diet, you will be missing out on even more nutrients than on a vegetarian diet. However, keep in mind that you will still be missing out on essential nutrients on a vegetarian diet, compared to the omnivorous diet that I consider best for your health. Enough of the context, let's look at 8 reasons why a vegan or vegetarian diet is damaging to your health. It’s much harder to get sufficient protein from a vegan diet. This is true for vegetarians as well, but only to a lesser extent. Steak or fish contain 20-30 grams of protein per 100 grams of product. 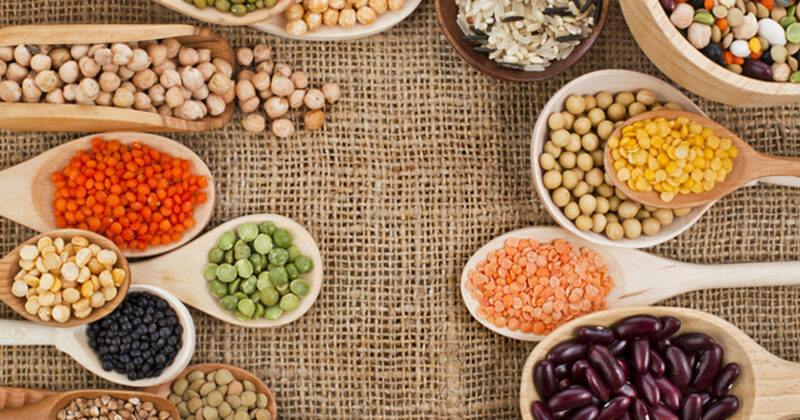 The main protein sources for vegans - vegetables, beans, soy, tempeh, and rice - contain only 5-20 grams of protein per 100 grams of product. Why is this an issue? Inadequate protein consumption leads to protein deficiency. This leads to edema, fatty liver, hair, skin and nail issues, poor recovery and growth, weakened immune system and loss of muscle and bone density. Sure, there are high protein sources for vegans, such as hemp protein powder, that you can use to increase your protein intake. But hemp protein powder contains large amounts of unstable polyunsaturated fatty acids. That PUFA content only becomes higher in other hemp products, such as hemp seeds. So, hemp is not a great option to get your protein needs met given the dangers of PUFA overconsumption (read more about this topic HERE). I’m not saying that it’s impossible to get your daily need for protein through a vegan diet—instead, I’m saying that you’re swimming against the current when trying to get your daily protein needs met exclusively through plant food consumption. An analogy would be my vision towards strength training: would you rather train 15 minutes a week, and get excellent results, or spend 5 hours a week sweating in the gym, and get the exact same result? The same is true for getting your protein needs on a diet that includes animal foods: it takes less work to get all of your protein requirements from animal foods. The fact that vegetarians eat milk and eggs does give them a huge advantage compared to a vegan diet. However, most vegetarians do not make milk and eggs a staple of their diet. And only eat small amounts of milk and eggs to avoid health problems. Many vegetarians therefore end up having too little protein in their diets as well. If you’re following the diet on my Hormone Reset Program, where fish, meat, liver, bone broth, milk, and eggs are staples of your diet, then you will have a lot lower chance to ingest too little protein. Vegan diets not only make it more difficult to ingest sufficient protein, but the protein quality of many vegan foods is also lower than that of animal foods. Animal proteins are the highest quality proteins: eggs, fish, milk, whey protein and beef, for example.,. I wrote a detailed article on protein quality HERE. Yes I acknowledge that soy protein made it on the list of high-quality proteins as well, but soy has enormous drawbacks as a food group. Soy increases your estrogen levels, is a GMO crop meaning it is extremely high in glyphosate, and it is also high in PUFAs. Other plant-based options, such as hemp, pea, or rice protein powder, all have much lower protein quality compared to animal sources, such as fish or meat. Protein quality is always really important. Let’s say you’re trying to improve your results in the gym. In that case, when soy, rice, beans, grains, and vegetables are the staple foods of your diet, you will just not have the same muscle building response compared when ingesting different types of animal foods. In essence, more muscle tissue is built on high-quality animal foods compared to plant foods. But protein quality is not just important for muscle mass. The fact that vegetarians eat some animal foods, means that they will have less of a problem with regard to protein quality. So, if you’re a vegetarian, make sure that milk and eggs become a staple of your protein-rich foods. If you’re a vegan, however, these protein quality issues cannot easily be circumvented. By following a vegan diet, you’re making it harder for yourself to achieve optimal health and performance. There is another big issue with both vegan and vegetarian diets: these diets lack specific amino acids. Amino acids are the “building blocks” of proteins. You need a balanced intake of amino acids, to get the most benefits out of your diet. Bone broth, a food source avoided by vegans and vegetarians, is one food group that contains unique amino acids, that are lacking in our modern diet. In my guide to bone broth, I covered how bone broth has so many amazing health benefits. You can make bone broth by slowly boiling bones over a long period of time, which takes up to 48 hours. Gelatin and collagen proteins – which are often sourced from the skin and connective tissue of animals - contain the same unique amino acids that are found in bone broth. Consumption of collagen or gelatin proteins, however, are avoided by both vegetarian and vegan diets because they stem directly from the connective tissue of animals. 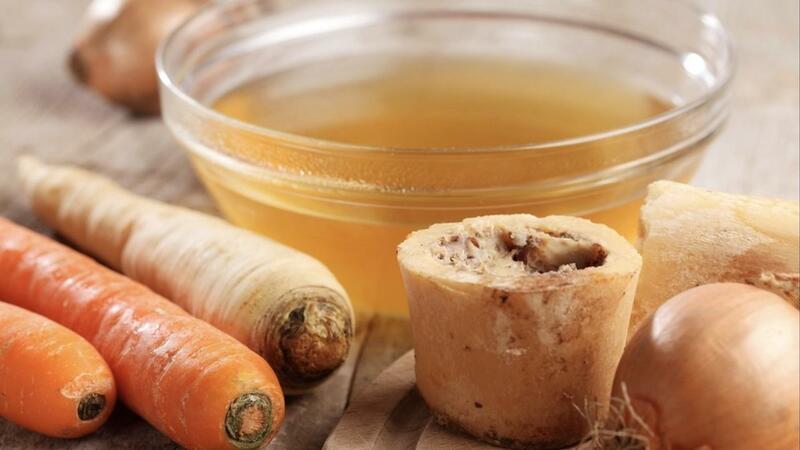 As bone broth is sourced directly from the bones of animals, vegetarian and vegan diets avoid the use of bone broth as well. Sure you can make vegetable broths, but from a nutrient standpoint these lack the amino acids found in traditional bone broth. Just because they share a name, doesn't mean they share the same nutrient properties. The elimination of these foods creates big problems for vegetarian and vegan diets: the specific amino acids contained in them, such as glycine, proline, and hydroxyproline, cannot be ingested at adequate levels in a typical vegan or vegetarian diet. Even omnivores need to consume bone broth, collagen, or gelatin, to get adequate amounts of these amino acids in their diets. By just consuming meat, fish, and shellfish, you cannot get these amino acids. Why do the amino acids found in bone broth matter so much? and improve overall mental well-being. You might think that vegans and vegetarians can get the specific amino acids contained in bone broth, collagen, or gelatin, by supplementing them. But even supplementation is difficult. I’ve searched far and wide, and cannot find any vegan or vegetarian source of proline or hydroxyproline, which are key amino acids in bone broth, gelatin, and collagen. Eating a vegetarian or vegan diet, you will not get the benefits from consuming bone broth, gelatin, or collagen. However, the problem with with amino acid deficiency does not stop with bone broth. There’s an additional amino acid that’s almost exclusively found in animal foods: taurine. Taurine is mostly found in shellfish, meat and fish. Eggs, seaweed, and milk are another – but very suboptimal – way to get taurine in your diet. The only way to get taurine for vegans, is to supplement with taurine, or to ingest taurine through brewer’s yeast. I hope you are beginning to see a pattern here: it takes a lot of time and effort to support the body with all the individual nutrients that you will be missing out on a vegan or vegetarian diets. Sure, vegetarians can ingest some taurine through their eggs and milk, but the taurine content in eggs and milk is not nearly as high as it is in meats and fish. If you’re a vegetarian, you therefore still need to supplement with additional taurine. 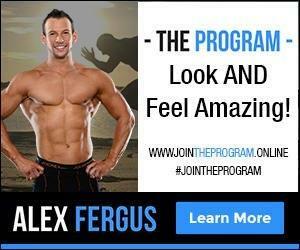 You can download my FREE vegan and vegetarian essential supplement guide my clicking HERE. and to improve exercise performance. Taurine really has all-round benefits for your health. Scientists have actually tested the levels of taurine in different populations. In vegans, taurine levels were much lower than omnivores. This means that almost all vegans are not getting enough of this key nutrient right now. I’ve already stated that getting the right amount of proteins and good quality proteins is much more difficult if not impossible on a vegan or vegetarian diet. To make matters worse, it’s also problematic to get the right fats into your body on these diets. Sure, there are some great options to get some healthy fats in your diet as a vegan, such as coconut oil, high-cacao dark chocolate, or avocados. But let’s say that you’re mostly eating beans, rice, soy, fruits, vegetables, and (hopefully soaked or sprouted) grains. In that case, you will still end up having problems getting the right fats into your diet. If you’re eating foods such as full-fat raw milk, oysters, and pastured eggs, then you will be getting all the healthy fats you need, just by eating these staple foods. Healthy fats such as saturated fats, cholesterols, some omega 3s etc. These high-quality (animal) fats are essential to your health. High quality fats reduce your bodyfat, are great for your heart and brain health, and will give you stable energy for hours. Don't believe the lie. 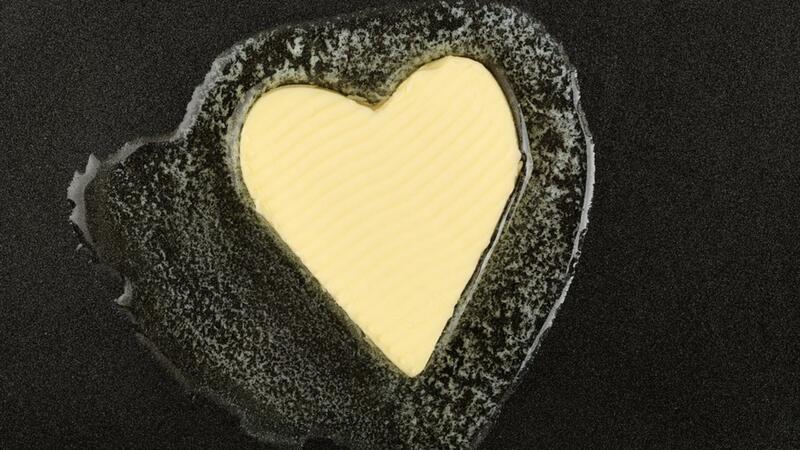 Animal fat is actually heart healthy. Read more here. Sadly enough, many great fat sources such as beef or fish are avoided by vegetarians. This problem is worse for vegans, as they do not even consume eggs or milk, which contain some of these important fats. The problems do not stop here: there’s an additional problem with many vegan foods. Almost all oils that are found in many vegan products, such as soybean oil, rice oil, margarine, different vegetable oils, sunflower oil, and even flaxseed oil are very high in PUFAs. 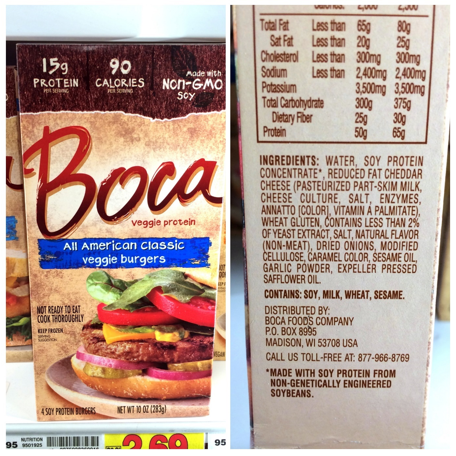 The soy found in your tofu burger is bad in itself, but the additional PUFAs added to the burger make it a toxin bomb. See the label of the vegetarian burger above: sesame oil, safflower oil, and ten additional “Frankenstein” ingredients which no health conscious person should consume. It’s almost impossible to get all the right fats in your diet when you’re eating a vegan diet on a daily basis. The problem gets worse though. There are also some very specific fats that are lacking in a vegetarian or vegan diets. One main missing healthy fat for vegans is CLA – or conjugated linoleic acid. CLA is mainly found in butter, eggs, and beef. There’s rising evidence that CLA will help you lose bodyfat, improve insulin functioning, and aid in building muscle. As a vegan, you can thus only obtain this fat in your diet once you supplement with it. There’s yet another very important healthy fat called DHA, which is lacking in vegan diets. DHA is also very hard to consume within vegetarian diets (but not entirely impossible). DHA – or Docosahexaenoic acid in full – is an essential fatty acid that is mainly found in oily fish, such as wild salmon, sardines, or mackerel. Other sources of DHA that work reasonably well are krill, meat and eggs. It is possible to supplement with DHA in the form of fish oil, but most fish oil on the market has a very poor quality. The fish oil is often either oxidized, or not very well absorbable. So supplementation is not always your best option to get your DHA needs met. Vegetarians and vegans can use an algae oil as a DHA supplement - or they could simply consume some wild caught fish or even egg yolks - both which contain readily absorbed DHA. 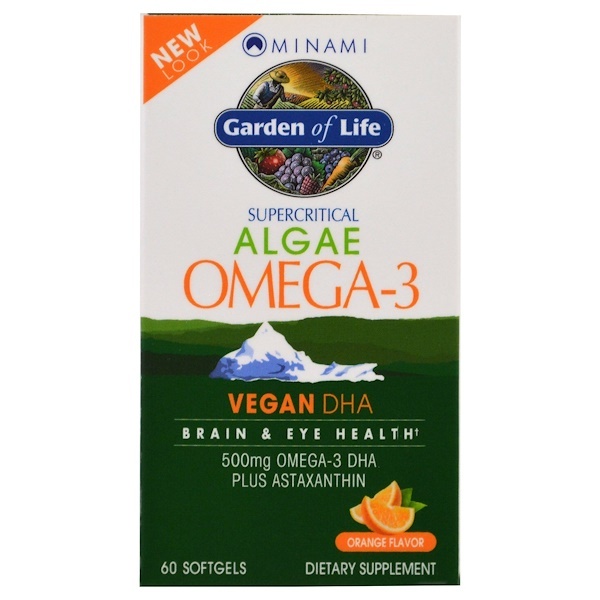 The Garden of Life Omega 3 Algae product is a vegan DHA supplement - use discount code BHS654 to save on your iherb.com purchase. You can find a great quality algae oil here (and download my free supplement guide HERE) Such a supplement is very expensive though, costing $120 a month to get DHA’s maximum benefits. It’s much easier (and tastier) to just eat a can of sardines! Luckily, vegetarians still consume some DHA through milk or eggs, but it’s often not enough to get sufficient levels in your body. You thus need fish, shellfish or egg yolks to get optimal DHA levels in your diet. Everyone needs adequate amounts of DHA: it’s important for brain development and brain function, cardiovascular health, curbing inflammation, and improving your overall mood. So, DHA becomes yet another nutrient that you need to supplement while being on a vegetarian or vegan diet! It now becomes very clear that it is extremely hard to consume enough healthy fats on a vegetarian or vegan diet, and it’s also almost impossible to consume enough specific healthy fats that you need as well, such as CLA or DHA. In addition to getting enough and high-quality proteins and fats, vegan and vegetarian diets lack in many very important minerals, such as calcium, iron and zinc. The problem in getting enough minerals, originates because many foodstuffs that vegetarians and vegans rely on, such as grains, rice, beans, soy, all contain anti-nutrients in one form or another. Several anti-nutrients exist, such as lectins,  phytic acid,  and different phytates and fibers. When foods like grains or beans are left untreated, these antinutrients will prevent the uptake of minerals from that food. Antinutrients are the natural defense mechanism that foods like grains or beans have, to prevent them from being eaten by animals. While protecting the plant itself, however, these antinutrients also prevent you from absorbing the plant’s minerals. Because vegetarians and vegans rely so much on plant foods, their anti-nutrient consumption tends to be a lot higher – leading to mineral deficiencies. Remember, it's not what you eat, it's what you absorb. 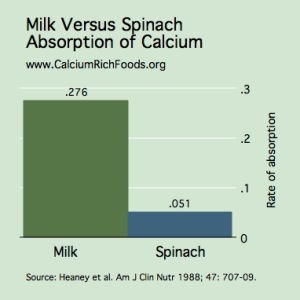 Calcium: Vegans have much higher fracture risk, due to their diets containing too little absorbable calcium. While calcium in vegetables absorbs pretty well, you would still need to eat 2 pounds of vegetables on average a day to achieve your daily recommended allowance of calcium as a vegan. If you eat the wrong vegetable, such as spinach – which contains little well absorbed calcium because of anti-nutrients – then you will almost get no calcium that can be effectively used by the body at all. Drinking a few glasses of milk is a much quicker solution to get your daily calcium needs met. Vegetarians who drink milk or eat eggs are therefore less prone to develop these calcium deficiencies. Iron: Both vegans and vegetarians are at risk of developing iron deficiencies. One of the main reasons for this deficiency is the absence of meat in both diets. Iron that is found in meat, is better absorbed than iron from plant sources. Let’s say that the food that you eat contains 2mgs of iron. When you ingest those 2mgs of iron through meat consumption, the iron levels in your body will end up being higher than when these 2mgs of iron come from plant food. The type of iron in animal foods is called “heme iron”, while plants contain non-heme iron. Non-heme iron is absorbed a lot more poorly by the human body. So even if you consume lots of iron as a vegan, you may still end up being iron deficient due to the absorbability of the iron consumed. Not only do anti-nutrients lower the iron that you absorb, but the iron that you absorb through plants remains less effective because it is non-heme iron. So, there are multiple mechanisms by which you end up with low iron levels as a vegan or vegetarian. Zinc: Many people are already zinc deficient – you could call this deficiency a pandemic levels. An estimate is that one in five people are already zinc deficient. To make matters worse, both vegetarians and vegans are at higher risks for developing zinc deficiencies than the general population. Zinc deficiencies are problematic, because you need zinc for hormone functioning and reproductive fitness, cardiovascular health, optimal insulin functioning to prevent diabetes, and mental well-being and performance. These minerals are a great example to show what is wrong with our current food system - meat eaters or not. In our modern world, there are a lot of people who have access to a lot of food. Many people might overeat and be obese, but still be at risk of malnutrition. I cover this issue in more detail here. Not getting enough essential minerals like calcium, iron, and zinc, will put you at greater risk for malnutrition. That’s why I recommend that you eat a lot of nutrient dense foods, with vitamins and minerals that absorb very well. Likewise, if you eat a lot of junk food, you will not end up with all the minerals you need, and you’ll be malnourished – even if you’re overweight. The same is true for vegetarians and vegans: eating a vegetarian diet, and especially a vegan diet, will make you more prone to malnourishment, simply because you ingest too few absorbable minerals. The few minerals I’ve just described do not even tell the full story. For example, vegans are also prone to ingest too much copper, because plants contain more copper and less zinc on a relative basic, compared to what the body needs. Meats, on the other hand, allow the body to get enough zinc while preventing the accumulation of too much copper. But meat is avoided on a vegan diet. So, the mineral problems that vegans and vegetarians need to cope with, are actually worse than I’ve just described here. Overall, it’s slowly becoming clear that the best thing you can do is just avoiding vegan (and to a lesser extent vegetarian) diets if you want to consume enough minerals in your diet. For a comprehensive list of all the recommended minerals vegans and vegetarians should use please download my FREE guide HERE. Just as vegan diets tend to lack essential minerals, vitamins are problematic for vegan diets as well. The same is true for vegetarian diets, but to a lesser extent: when you’re on a vegetarian diet, you cannot consume some foods that are really high in vitamins, such as oysters or liver. So as a vegetarian, you’re still more prone to develop vitamin deficiencies. Vitamin K: Vegan diets lead to higher risks for bone fractures, because vegan diets contain little vitamin K that is absorbed well. I already talked before about vegan diets are missing absorbable calcium, and vitamin K creates yet another problem for bone health. It’s important to distinguish between vitamin K1 and vitamin K2 here. Vitamin K1 is found in plant sources. Different types of vitamin K2 are found in animal foods, such as butter, cheese, milk, eggs, meat, and especially liver. Sure, natto – which is a fermented soy bean – contains a lot of K2 as well, but soy has big problems of its own, and I do not recommend excess consumption of soy products. There’s a specific reason you need vitamin K2 and not K1: vitamin K2 absorbs much better than vitamin K1. You can not get enough usable vitamin K through plant sources alone. Vitamin K2 is very important for bone health, it ensures calcium is deposited in the right places. Without sufficient vitamin K2, the body is more prone to deposit calcium in the arteries, instead of in the bones where it belongs., Vitamin K2 will also reduce cardiovascular disease, help preventing diabetes, and improves hormone functioning. Vitamin K2 is essential for our optimal health. Vitamin D: There are two key types of vitamin D: vitamin D2 and vitamin D3. Vitamin D2 is a plant variation, while D3 is the animal form of the vitamin. Only the animal form of vitamin D, vitamin D3, shows great benefits in scientific papers. D2 is often counterproductive for your health. The best way to get your vitamin D levels up, is to get adequate sun exposure during the day. The UV-B exposure creates vitamin D3 through the skin. While the morning sun is very important for your general health, you cannot create vitamin D in your skin through morning sun exposure. You thus need to get outside during noon, with your skin exposed, and not wear any sunscreen. However, the sunlight that supplies enough vitamin D is not available year-round when you’re not living close to the equator. Many cultures that live on higher latitudes, have historically gotten their vitamin D from animal foods during the wintertime, to compensate for the lack of vitamin D from the sun. Eggs or wild salmon are great sources to get your vitamin D3. But these sources are not consumed on vegan diets. You’ll thus have to supplement with vitamin D3 on a vegan diet, and most probably on a vegetarian diet as well. Vitamin A: Just as with vitamin D and K, there are differences between the plant version of vitamin A, and the animal version. Plant versions of vitamin A, such as beta-carotene, are converted into the animal form of vitamin A by the body. If you are eating a vegan diet and are genetically unable to convert the plant version of vitamin A to the animal version of vitamin A, then you may have a vitamin A deficiency. Luckily, this conversion ratio is not problematic when you are eating sufficient amounts of animal-sourced vitamin A. 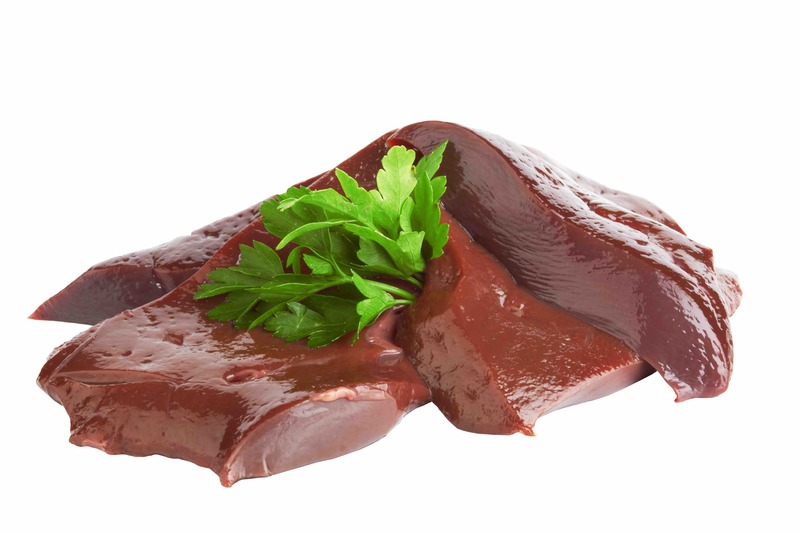 When you eat your weekly dose of liver you will ingest adequate levels of well absorbed vitamin A. As a vegan, you should be concerned about your vitamin A intake. As a vegetarian, you can get most of your animal form vitamin A from milk or eggs, but these alone may not be enough. Vitamin B12: Adequate amounts of vitamin B12 can exclusively be found in animal food sources. Oysters, sardines, wild salmon, beef, lamb, eggs, and milk are all excellent sources of vitamin B12. You can store vitamin B12 in your body for longer periods of time. However, if you consume little vitamin B12 on a daily basis, your vitamin B12 deposits will quickly deplete. Vegetarians have fewer problems attaining enough vitamin B12 through their diets, because they can still eat eggs or drink milk. However, vegetarians still have a lower amount of options in terms of food sources to get their B12 needs met. When eggs and milk are the only foods that provide vitamin B12 to you, there’s still a greater chance that you will develop a vitamin B12 deficiency. Because vegans do not consume any meat, eggs, or milk at all, they tend to end up with vitamin B12 deficiencies over time. The way to mitigate that risk for developing vitamin B12 deficiencies, is to get frequent (and costly) B12 injections. However, even B12 injections might become problematic, as the vitamin B12 might not be absorbed when you do not have the cofactors of vitamin B12 in your body. 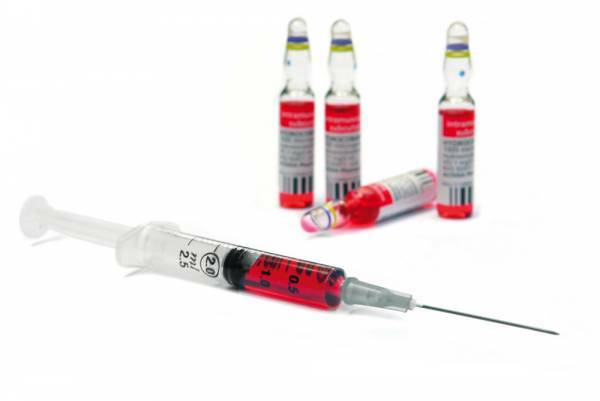 Even vitamin B12 injections remains guesswork, unless you get your vitamin B12 lab tested. B12 shots or eating meat? Vitamin B12 is very important in the body. Without adequate amount of vitamin B12, your brain will not perform well. You also need vitamin B12 for a healthy nervous system, general energy levels, and to optimize iron levels in your blood. Vegans and vegetarians are 12-15 times as likely to be deficient in vitamin B12 than omnivores. The reason for this occurrence is because the richest sources of B12 are organ meats, sardines, wild salmon, or mackerel, or meats such as pasture raised beef - all foods restricted on vegan or vegetarian diets. The fact that you have to inject a nutrient, instead of eating that nutrient, should make you very worried (and also indicate that this particular way of eating is not sustainable long term). Needing to inject a nutrient indicates that the diet might be flawed at a fundamental level, which should become clear now with regards to the vegan diet. I hope I’ve shown you that both vegetarian and vegan diets are tricky: both diets make you prone to develop vitamin deficiencies: Vitamins A, D, K, and B12 are often devoid in these diets. For a comprehensive list of all the recommended vitamins vegans and vegetarians should use please download my FREE guide HERE. In addition to protein quality, the amount of protein, the right healthy fats, enough absorbable vitamins and minerals, both vegetarian and vegan diets have yet another problem. I’ll call these nutrients the 4 Cs: creatine, choline, carnitine, and carnosine. If you’re eating a vegetarian or vegan diet, creatine, carnitine and carnosine are unattainable through your diet alone. Vegetarians and Vegans must then supplement these nutrients, or start eating an omnivore diet. Choline, while still problematic, is consumable through a vegetarian diet, but reaching sufficient intake is difficult on a vegan diet. Creatine: I’ve written extensively about creatine on my blog. Creatine is very important, because it will increase your maximal strength, power, and long-term endurance, boosts cognitive performance, testosterone, mental well-being, sleep quality, and recovery. 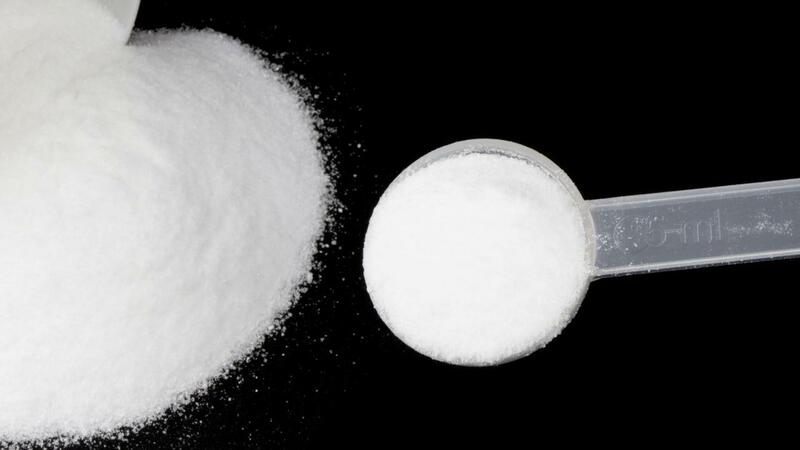 Creatine thus has all-round benefits that few other substances can match. However, creatine is only found in large quantities in red meat and wild fish. Eggs and milk only contain negligible levels of creatine. As a vegan or vegetarian, you thus need to supplement with creatine to boost your levels. Without supplementation, studies show that both vegans and vegetarians end up having much lower creatine levels in their bodies than omnivores do. If you eat meat and fish, and do not supplement with creatine, you automatically end up with higher creatine levels than your peers who are vegetarians or vegans. This is also why vegans who supplement with creatine have the best cognitive and performance gains. As a solution, there are good creatine supplements on the market for vegans. However, this is another supplement they must pay for and consume to on a regular basis. By now it should be clear that a diet protocol which requires ongoing supplementation is not an optimal diet for health. Choline: Eggs, liver, dairy, are all great sources of choline. Plants contain choline too, but it’s harder to get sufficient amounts of choline from plants alone. For example, the yolk of one egg contains 120-150mgs of choline. To get the same amount of choline from plant foods, you would need to eat two cups of cabbage, broccoli, or cauliflower. And if you use seeds, nuts, or peanuts as a vegan to get your choline, you might end up consuming too many unhealthy PUFAs that I’ve been talking about before. 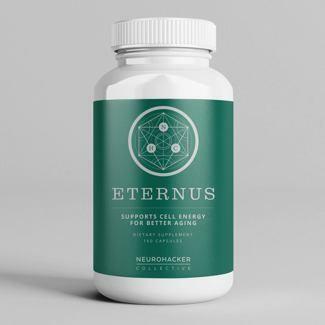 You need choline to achieve optimal neurotransmitter and neurological functioning, to have your brain and memory working properly, to detoxify your liver, and maintain your heart health. Vegans need to supplement with soy lecithin to get sufficient amounts of choline in their diets. Vegetarians just need to consume enough eggs to avoid choline deficiencies. Carnosine: Carnosine is an important nutrient as well. Carnosine helps in preventing diabetes, slows aging, and keeps your nervous system and eyes healthy. 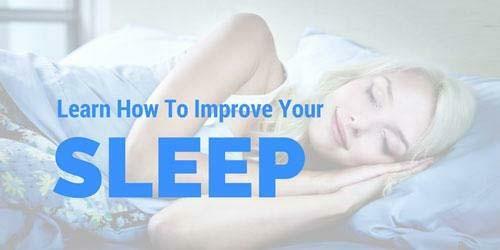 It also helps you perform in the gym, by slowing lactic acid buildup, so that you can keep on going longer before you are too pumped to perform well. Carnosine is another nutrient that is only available from meats and fish. Even as a vegetarian, you need to supplement with carnosine to avoid a deficiency. Carnitine: Similar to carnosine, carnitine is also exclusively found in meat products or fish. While milk and eggs contain some carnitine, the amounts are very little. Even as a vegetarian, you will not be getting enough carnitine through your diet. Carnitine helps you lose fat, is essential to proper metabolic functioning, increases fertility, helps preventing diabetes and heart disease, and reduces both mental and physical fatigue. Carnitine also helps you recover more quickly after a workout. If you’re a vegan, then it’s impossible to get enough of the 4Cs in your diet. The bad news is that these are not nutrients of lesser importance that you can go without – you need these nutrients to thrive in life. The message should be clear: to get an adequate amount of nutrients, you really need to eat an omnivorous diet! If you’ve been a vegan or vegetarian in the past, then the chances are high that this diet made you feel very good, at least initially. A lot of people who switch to a vegetarian or vegan diet do so because they believe these diets are healthy. These people falsely assume that they will get healthier by cutting meat, broth and fish out of their diets. Over time, however, many essential nutrients are depleted on vegan diets. Vitamin B12 is a good example of this depletion. For the first months, you might still have adequate vitamin B12 stores, after switching to a vegan diet. You might feel great during the first months on a vegan diet, especially when you stopped eating junk food or started eating organic foods. However, in the long run, you will always end up with one nutritional deficiency or another on a vegetarian diet, and especially on a vegan diet. These nutritional deficiencies have real consequences. Studies show that there are many vegetarians and vegans that end up with mental health problems in the long run. For example, you’re more prone to get a depression on these diets, even if it’s just a vegetarian diet. It should become clear by now, that if you’re following a vegetarian or vegan diet, you will be very susceptible to nutritional deficiencies. The problem of nutritional deficiencies is not a minor problem, even in rich countries. Almost everyone who is following a standard American diet is currently suffering from one or another nutritional deficiency, even though these people might be overweight at the same time. For example, if you’re eating a standard American diet, there’s a high chance that you’re not getting enough of the mineral potassium in your diet. Likewise the risk is high that you’re not getting enough choline, and theres a 66% chance that you’re not getting adequate vitamin K. In terms of vitamin D and E, there is also an extremely high rate of deficiencies in these vitamins. As I’ve stated before in this article, it’s even harder for vegetarians and vegans to get all the nutrients they need, compared to other diets. Getting enough nutrients is harder for vegetarians and vegans, because their diets do not contain many food groups that are very high in absorbable nutrients. So, if you’re a vegetarian or vegan, and you care for your health, please consider rethinking your diet. I understand many people choose these diets in the quest for health, but hopefully I have shown you that this is not the best strategy if health is your goal. Also, I am aware that many vegans and even vegetarians choose to eat this way to minimise harming animals. I appreciate this concern, but please note that you can still source animal products from well loved and properly cared animals. Whether it's having your own chickens in your back yard, or sourcing meat from a caring farmer who uses practices that resonate with your values. There is a way to achieve the best of both worlds. If you are a vegan or vegetarian and feel angered or frustrated or even depressed after reading this article, please don't blame yourself. The issue is around the message that these diets are the 'healthy'. Yet as I have shown, this is wrong. Thankfully you can change direction now and start turning your health around today. If you don't want to change your diet choices, but you do want to boost your health and cognitive function, then I highly recommend supplementing the vitamins and minerals you are missing out on. To help with this, I have created a FREE essential supplement guide for vegans and vegetarians that you can download by clicking HERE. Anyway, I have just published an open letter to vegans, you can read that letter HERE. Kniskern MA, Johnston CS. Protein dietary reference intakes may be inadequate for vegetarians if low amounts of animal protein are consumed. Nutrition. 2011 Jun;27(6):727-30. doi: 10.1016/j.nut.2010.08.024. Epub 2010 Dec 16. Schaafsma G. The protein digestibility-corrected amino acid score. The Journal of Nutrition. 2000 130 (7): 1865S–7S. Hoffman, JR, Falvo, MJ. Protein – Which is Best". Journal of Sports Science and Medicine. 2004 3 (3): 118–30. van Vliet S, Burd NA, van Loon LJ. The Skeletal Muscle Anabolic Response to Plant- versus Animal-Based Protein Consumption. J Nutr. 2015 Sep;145(9):1981-91. doi: 10.3945/jn.114.204305. Epub 2015 Jul 29. Gorissen SH, Rémond D, van Loon LJ. The muscle protein synthetic response to food ingestion. Meat Sci. 2015 Nov;109:96-100. doi: 10.1016/j.meatsci.2015.05.009. Epub 2015 May 20. Loenneke JP, Wilson JM, Manninen AH, Wray ME, Barnes JT, Pujol TJ. Quality protein intake is inversely related with abdominal fat. Nutr Metab (Lond). 2012 Jan 27;9(1):5. doi: 10.1186/1743-7075-9-5. Loenneke JP1, Balapur A, Thrower AD, Syler G, Timlin M, Pujol TJ. 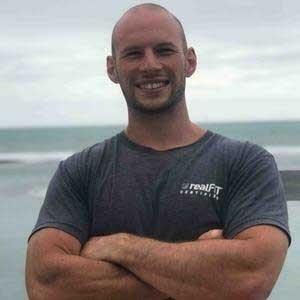 Short report: Relationship between quality protein, lean mass and bone health. Ann Nutr Metab. 2010;57(3-4):219-20. doi: 10.1159/000321736. Epub 2010 Dec 2. Proksch E, Segger D, Degwert J, Schunck M, Zague V, Oesser S. Oral supplementation of specific collagen peptides has beneficial effects on human skin physiology: a double-blind, placebo-controlled study. Skin Pharmacol Physiol. 2014;27(1):47-55. doi:10.1159/000351376. Epub 2013 Aug 14. Viguet-Carrin S, Garnero P, Delmas PD. The role of collagen in bone strength. Osteoporos Int. 2006;17(3):319-36. Epub 2005 Dec 9. Wójcik OP, Koenig KL, Zeleniuch-Jacquotte A, Costa M, Chen Y. The potential protective effects of taurine on coronary heart disease. Atherosclerosis. 2010 Jan;208(1):19-25. doi: 10.1016/j.atherosclerosis.2009.06.002. Epub 2009 Jun 11. Ripps H, Shen W. Review: taurine: a "very essential" amino acid. Mol Vis. 2012;18:2673-86. Epub 2012 Nov 12. Marcinkiewicz J, Kontny E. Taurine and inflammatory diseases. Amino Acids. 2014 Jan;46(1):7-20. doi: 10.1007/s00726-012-1361-4. Epub 2012 Jul 19. Bouckenooghe T, Remacle C, Reusens B. Is taurine a functional nutrient? Curr Opin Clin Nutr Metab Care. 2006 Nov;9(6):728-33. El Idrissi A. Boukarrou L, Splavnyk K, Zavyalova E, Meehan EF, L'Amoreaux W. Functional implication of taurine in aging. Adv Exp Med Biol. 2009;643:199-206. Yatabe Y, Miyakawa S, Ohmori H, Mishima H, Adachi T. Effects of taurine administration on exercise. Adv Exp Med Biol. 2009;643:245-52. Laidlaw S, Shultz T, Cecchino J, Kopple J. Plasma and urine taurine levels in vegans. American Journal of Clinical Nutrition. 1988. 47 (4): 660–3. Gaullier JM, Halse J, Høye K, Kristiansen K, Fagertun H, Vik H, Gudmundsen O. Conjugated linoleic acid supplementation for 1 y reduces body fat mass in healthy overweight humans. Am J Clin Nutr. 2004 Jun;79(6):1118-25. Steck SE, Chalecki AM, Miller P, Conway J, Austin GL, Hardin JW, Albright CD, Thuillier P. Conjugated linoleic acid supplementation for twelve weeks increases lean body mass in obese humans. J Nutr. 2007 May;137(5):1188-93. Bandarra NM, Lopes PA, Martins SV, Ferreira J, Alfaia CM, Rolo EA, Correia JJ, Pinto RM, Ramos-Bueno RP, Batista I, Prates JA6, Guil-Guerrero JL. Docosahexaenoic acid at the sn-2 position of structured triacylglycerols improved n-3 polyunsaturated fatty acid assimilation in tissues of hamsters. Nutr Res. 2016 May;36(5):452-63. doi: 10.1016/j.nutres.2015.12.015. Epub 2016 Jan 5. Davis BC, Kris-Etherton PM. Achieving optimal essential fatty acid status in vegetarians: current knowledge and practical implications. Am J Clin Nutr. 2003 Sep;78(3 Suppl):640S-646S. Sanders TA. DHA status of vegetarians. Prostaglandins Leukot Essent Fatty Acids. 2009 Aug-Sep;81(2-3):137-41. doi: 10.1016/j.plefa.2009.05.013. Epub 2009 Jun 4. [corrected] of _-linolenic acid to long-chain n-3 polyunsaturated fatty acids: results from the EPIC-Norfolk cohort. Am J Clin Nutr. 2010 Nov;92(5):1040-51. doi: 10.3945/ajcn.2010.29457. Epub 2010 Sep 22. Brenna JT, Salem N Jr, Sinclair AJ, Cunnane SC; International Society for the Study of Fatty Acids and Lipids, ISSFAL. alpha-Linolenic acid supplementation and conversion to n-3 long-chain polyunsaturated fatty acids in humans. Prostaglandins Leukot Essent Fatty Acids. 2009 Feb-Mar;80(2-3):85-91. doi: 10.1016/j.plefa.2009.01.004. Epub 2009 Mar 9. Lauritzen L, Brambilla P, Mazzocchi A, Harsløf LB, Ciappolino V, Agostoni C. DHA Effects in Brain Development and Function. Nutrients. 2016 Jan 4;8(1). pii: E6. doi: 10.3390/nu8010006. Yurko-Mauro K. Cognitive and cardiovascular benefits of docosahexaenoic acid in aging and cognitive decline. Curr Alzheimer Res. 2010 May;7(3):190-6. Kelley DS, Siegel D, Fedor DM, Adkins Y, Mackey BE. DHA supplementation decreases serum C-reactive protein and other markers of inflammation in hypertriglyceridemic men. J Nutr. 2009 Mar;139(3):495-501. doi: 10.3945/jn.108.100354. Epub 2009 Jan 21. Ganança L, Galfalvy HC, Oquendo MA, Hezghia A, Cooper TB, Mann JJ, Sublette ME. Lipid correlates of antidepressant response to omega-3 polyunsaturated fatty acid supplementation: A pilot study. Prostaglandins Leukot Essent Fatty Acids. 2017 Apr;119:38-44. doi: 10.1016/j.plefa.2017.03.004. Epub 2017 Mar 10. Vasconcelos IM1, Oliveira JT. Antinutritional properties of plant lectins. Toxicon. 2004 Sep 15;44(4):385-403. Gupta RK, Gangoliya SS, Singh NK. Reduction of phytic acid and enhancement of bioavailable micronutrients in food grains. J Food Sci Technol. 2015 Feb;52(2):676-84. doi: 10.1007/s13197-013-0978-y. Epub 2013 Apr 24. Hallberg L. Iron requirements and bioavailability of dietary iron. Experientia Suppl. 1983;44:223-44. Appleby P, Roddam A, Allen N, Key T. Comparative fracture risk in vegetarians and nonvegetarians in EPIC-Oxford. Eur J Clin Nutr. 2007 Dec;61(12):1400-6. Epub 2007 Feb 7. Craig WJ. Nutrition concerns and health effects of vegetarian diets. Nutr Clin Pract. 2010 Dec;25(6):613-20. doi: 10.1177/0884533610385707. Waldmann A, Koschizke JW, Leitzmann C, Hahn A. Dietary iron intake and iron status of German female vegans: results of the German vegan study. Ann Nutr Metab. 2004;48(2):103-8. Epub 2004 Feb 25. Freeland-Graves JH, Bodzy PW, Eppright MA. Zinc status of vegetarians. J Am Diet Assoc. 1980 Dec;77(6):655-61. Hunt JR, Vanderpool RA. Apparent copper absorption from a vegetarian diet. Am J Clin Nutr. 2001 Dec;74(6):803-7. Iwamoto J, Sato Y, Matsumoto H. Vitamin K2 improves femoral bone strength without altering bone mineral density in gastrectomized rats. J Nutr Sci Vitaminol (Tokyo). 2014;60(2):71-7. Wallin R, Schurgers L, Wajih N. Effects of the blood coagulation vitamin K as an inhibitor of arterial calcification. Thromb Res. 2008;122(3):411-7. doi: 10.1016/j.thromres.2007.12.005. Epub 2008 Jan 30. Spronk HM, Soute BA, Schurgers LJ, Thijssen HH, De Mey JG, Vermeer C. Tissue-specific utilization of menaquinone-4 results in the prevention of arterial calcification in warfarin-treated rats. Vasc Res. 2003 Nov-Dec;40(6):531-7. Epub 2003 Dec 3. Iwamoto J, Seki A, Sato Y, Matsumoto H, Takeda T, Yeh JK. Vitamin K_ prevents hyperglycemia and cancellous osteopenia in rats with streptozotocin-induced type 1 diabetes. Calcif Tissue Int. 2011 Feb;88(2):162-8. doi: 10.1007/s00223-010-9441-5. Epub 2010 Dec 7. Takumi N, Shirakawa H, Ohsaki Y, Ito A, Watanabe T, Giriwono PE, Sato T, Komai M. Dietary vitamin K alleviates the reduction in testosterone production induced by lipopolysaccharide administration in rat testis. Food Funct. 2011 Jul;2(7):406-11. doi: 10.1039/c1fo10058k. Epub 2011 Jun 13. Tang G. Bioconversion of dietary provitamin A carotenoids to vitamin A in humans Am J Clin Nutr. 2010 May; 91(5): 1468S–1473S. Herrmann W, Schorr H, Obeid R, Geisel J. Vitamin B-12 status, particularly holotranscobalamin II and methylmalonic acid concentrations, and hyperhomocysteinemia in vegetarians. Am J Clin Nutr. 2003 Jul;78(1):131-6. Louwman MW, van Dusseldorp M, van de Vijver FJ, Thomas CM, Schneede J, Ueland PM, Refsum H, van Staveren WA. Signs of impaired cognitive function in adolescents with marginal cobalamin status. Am J Clin Nutr. 2000 Sep;72(3):762-9. Herrmann W1, Schorr H, Obeid R, Geisel J. Vitamin B-12 status, particularly holotranscobalamin II and methylmalonic acid concentrations, and hyperhomocysteinemia in vegetarians. Am J Clin Nutr. 2003 Jul;78(1):131-6. Barr SI, Rideout CA. Nutritional considerations for vegetarian athletes. Nutrition. 2004 Jul-Aug;20(7-8):696-703. Zeisel SH, da Costa KA. Choline: an essential nutrient for public health. Nutr Rev. 2009 Nov;67(11):615-23. doi: 10.1111/j.1753-4887.2009.00246.x. Wood JL, Allison RG. Effects of consumption of choline and lecithin on neurological and cardiovascular systems. Fed Proc. 1982 Dec;41(14):3015-21. Zeisel SH. Choline: an important nutrient in brain development, liver function and carcinogenesis. J Am Coll Nutr. 1992 Oct;11(5):473-81.
 da Costa KA, Gaffney CE, Fischer LM, Zeisel SH. Choline deficiency in mice and humans is associated with increased plasma homocysteine concentration after a methionine load. Am J Clin Nutr. 2005 Feb;81(2):440-4. Boldyrev AA, Aldini G, Derave W. Physiology and pathophysiology of carnosine. Physiol Rev. 2013 Oct;93(4):1803-45. doi: 10.1152/physrev.00039.2012. Culbertson JY, Kreider RB, Greenwood M, Cooke M. Effects of beta-alanine on muscle carnosine and exercise performance: a review of the current literature. Nutrients. 2010 Jan;2(1):75-98. doi: 10.3390/nu2010075. Epub 2010 Jan 25. Sahlin K. Boosting fat burning with carnitine: an old friend comes out from the shadow. J Physiol. 2011 Apr 1;589(Pt 7):1509-10. doi: 10.1113/jphysiol.2011.205815. Pekala J, Patkowska-Soko_a B, Bodkowski R, Jamroz D, Nowakowski P, Lochy_ski S, Librowski T. L-carnitine--metabolic functions and meaning in humans life. Curr Drug Metab. 2011 Sep;12(7):667-78. Balercia G, Regoli F, Armeni T, Koverech A, Mantero F, Boscaro M. Placebo-controlled double-blind randomized trial on the use of L-carnitine, L-acetylcarnitine, or combined L-carnitine and L-acetylcarnitine in men with idiopathic asthenozoospermia. Fertil Steril. 2005 Sep;84(3):662-71. Ruggenenti P, Cattaneo D, Loriga G, Ledda F, Motterlini N, Gherardi G, Orisio S, Remuzzi Ameliorating hypertension and insulin resistance in subjects at increased cardiovascular risk: effects of acetyl-L-carnitine therapy. Hypertension. 2009 Sep;54(3):567-74. doi: 10.1161/HYPERTENSIONAHA.109.132522. Epub 2009 Jul 20. Malaguarnera M, Cammalleri L, Gargante MP, Vacante M, Colonna V, Motta M. L-Carnitine treatment reduces severity of physical and mental fatigue and increases cognitive functions in centenarians: a randomized and controlled clinical trial. Am J Clin Nutr. 2007 Dec;86(6):1738-44. Kraemer WJ, Volek JS, French DN, Rubin MR, Sharman MJ, Gómez AL, Ratamess NA, Newton RU, Jemiolo B, Craig BW, Häkkinen K. The effects of L-carnitine L-tartrate supplementation on hormonal responses to resistance exercise and recovery. J Strength Cond Res. 2003 Aug;17(3):455-62. Glade MJ, Smith K. Phosphatidylserine and the human brain. Nutrition. 2015 Jun;31(6):781-6. doi: 10.1016/j.nut.2014.10.014. Epub 2014 Nov 4. Starks MA, Starks SL, Kingsley M, Purpura M, Jäger R. The effects of phosphatidylserine on endocrine response to moderate intensity exercise. J Int Soc Sports Nutr. 2008 Jul 28;5:11. doi: 10.1186/1550-2783-5-11. Woo KS, Kwok TC, Celermajer DS. Vegan diet, subnormal vitamin B-12 status and cardiovascular health. Nutrients. 2014 Aug 19;6(8):3259-73. doi: 10.3390/nu6083259. Baines S, Powers J, Brown WJ. How does the health and well-being of young Australian vegetarian and semi-vegetarian women compare with non-vegetarians? Public Health Nutr. 2007 May;10(5):436-42. Hibbeln JR, Northstone K, Evans J, Golding J. Vegetarian diets and depressive symptoms among men. J Affect Disord. 2018 Jan 1;225:13-17. doi: 10.1016/j.jad.2017.07.051. Epub 2017 Jul 28. Wallace TC, McBurney M, Fulgoni VL. Multivitamin/mineral supplement contribution to micronutrient intakes in the United States, 2007-2010. J Am Coll Nutr. 2014;33(2):94-102. doi: 10.1080/07315724.2013.846806.